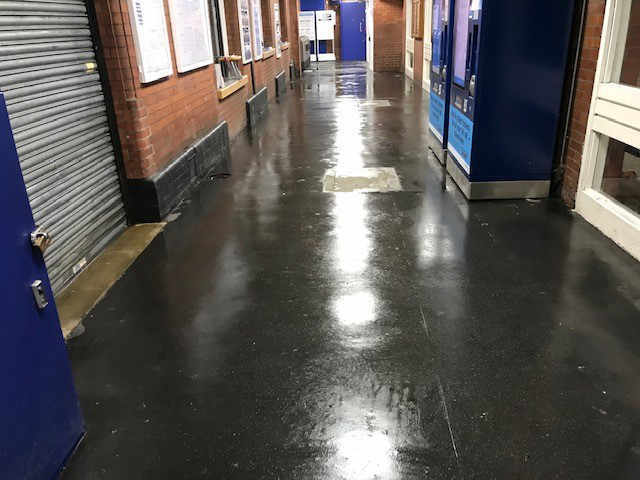 Visit to include deep cleaning to main booking hall flooring and all glazing internally and externally. 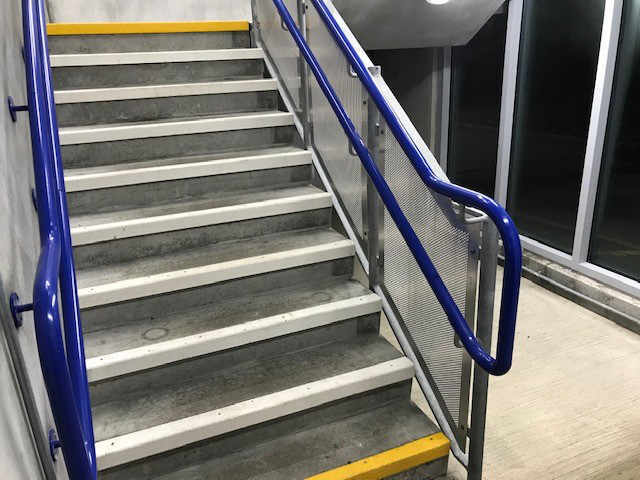 Plus full deep clean of both car park stair cores, this included stairs, banisters, windows and floors, using a state-of-the-art hot pressure washing system. Train Stations experience an extremely high volume of visitors daily. 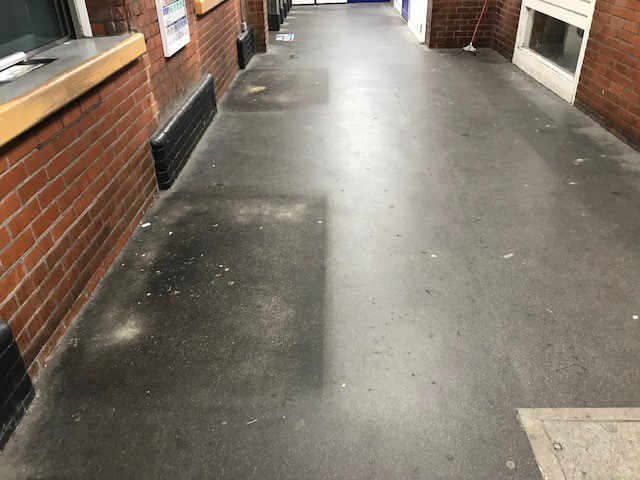 Commercial cleaning is essential to keep the station looking at its best. Our floor & window cleaning service has created a clean and fresh environment for visitors and staff alike. 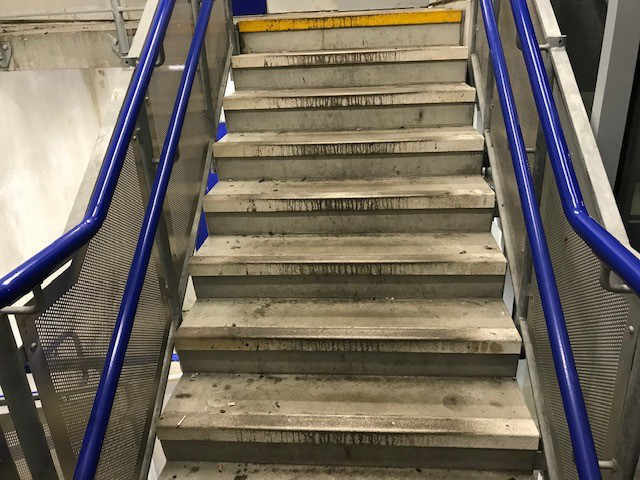 Being a busy train station with a heavy public footfall, we had to complete these works overnight to avoid disruption to Chiltern Railways customers and the general public. We made sure that all areas were always cordoned off to ensure the safety of our employees and the general public. As standard procedure, a full site-specific Risk Assessment is carried out by fully qualified Ryemead management, prior to any works being undertaken. We are proud to be a Safe Contractor approved and ISO 9001 certified company, ensuring that all processes are followed safely, and all access equipment and machinery is fully certificated. All operatives are fully trained to carry out the works in hand and any project is coordinated by a Ryemead Site Manager who is IOSH trained and First Aid Qualified. 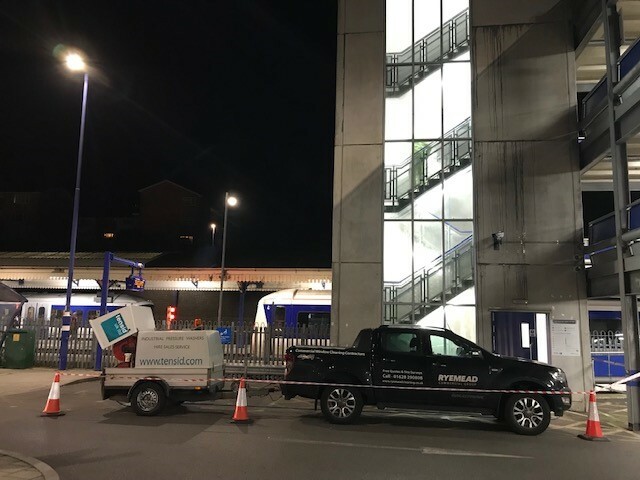 Click to find out more about our commercial window cleaning, high level internal cleaning and commercial pressure washing or get in touch. If you’d like to get an instant estimate for cleaning windows at your commercial property, please use our instant estimate tool. We also carry out a free site survey, please fill in our form to request this.